I hear a lot of people who say how much they love avocados, but how they only eat avocados sparingly because they’re so high in fat. I also had a co-worker mention to me how many times she ends up throwing out avocados because once she’s used a ¼ or ½ of one, it goes brown almost instantly, which turns her off. 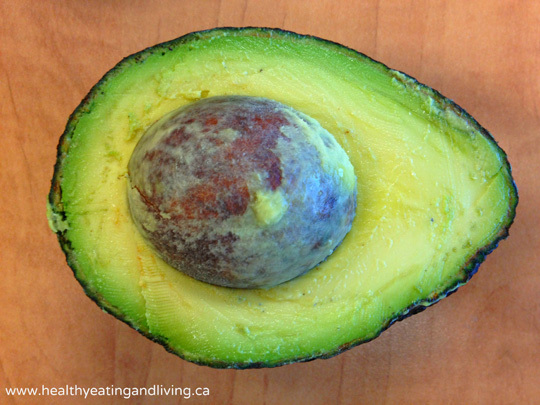 So in keeping with the salad theme of this week, it seems only fitting that today’s Nutrition Tip Tuesday is all about avocados – why you should have them in every salad, and a couple of quick tips on how to buy them and how to make them last in your fridge! While high in fat, it’s a good type of fat (mono-unsaturated) that is anti-inflammatory helping maintain good heart health and helping deal with arthritis. Regular pooping is SO important in eliminating all the toxins our bodies accumulate. Fiber is key for keeping the schedule regular, and avocados are an insanely high source of fiber. 1 cup has over 9g of fiber!! (That is almost ¼ of the recommended amount). Vitamin K is a critical nutrient for good bone health, and 1 cup of avocado contains >38% of your daily recommended intake of Vitamin K.
Quite simply, leave the pit in. I accidentally found out that this works when I added the avocado pits to some guacamole I made. I did it for aesthetics only, but then the leftovers lasted almost a week in the fridge without going brown! If you’ve ever made guac, you know that it almost instantaneously turns brown. 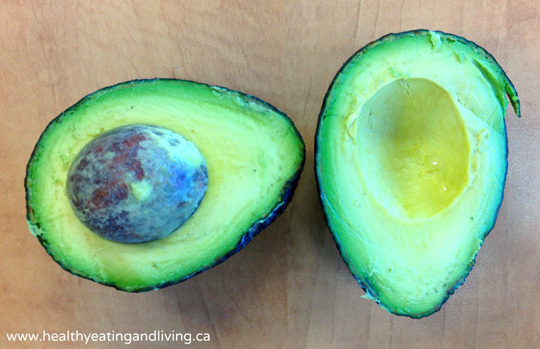 So there you have it – just leave the pit in and your avocado will stay fresh. Avocados are on EWG’s Clean 15 list, so you can save your money as you don’t need to buy these organic. Jesse from Out to Lunch Creations mentioned to me a great trick on knowing whether an avocado is too ripe before you buy it. Twist the little knob on the end off of the avocado, and if it’s brown, the avocado has gone over. If it’s green, you’re good to go!